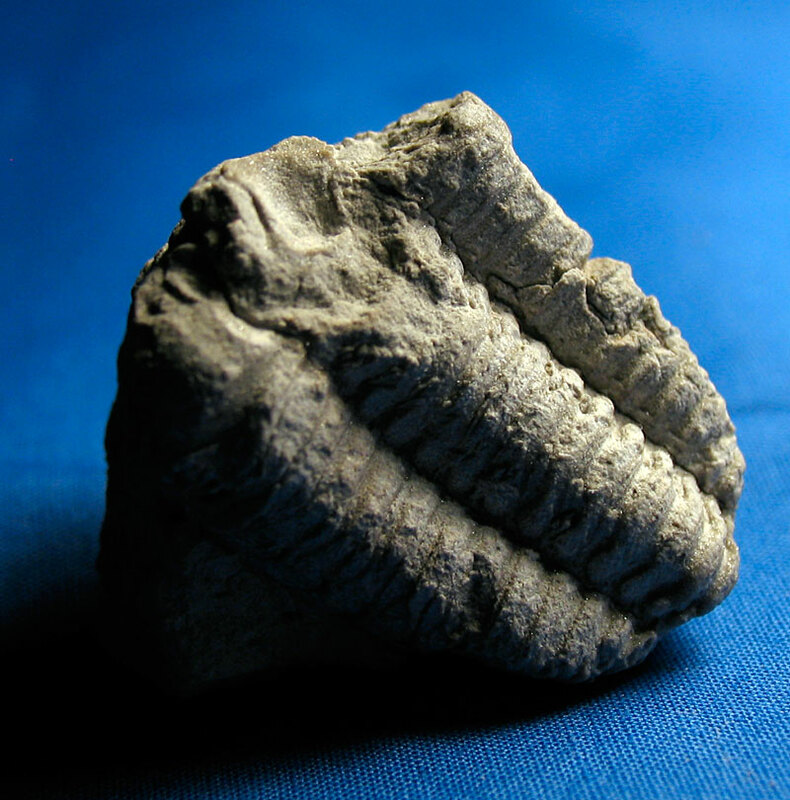 Here is a Calymene trilobite mold found in the Laurel Member of the Salamonie Dolomite. It was found in Nelson County, Kentucky. 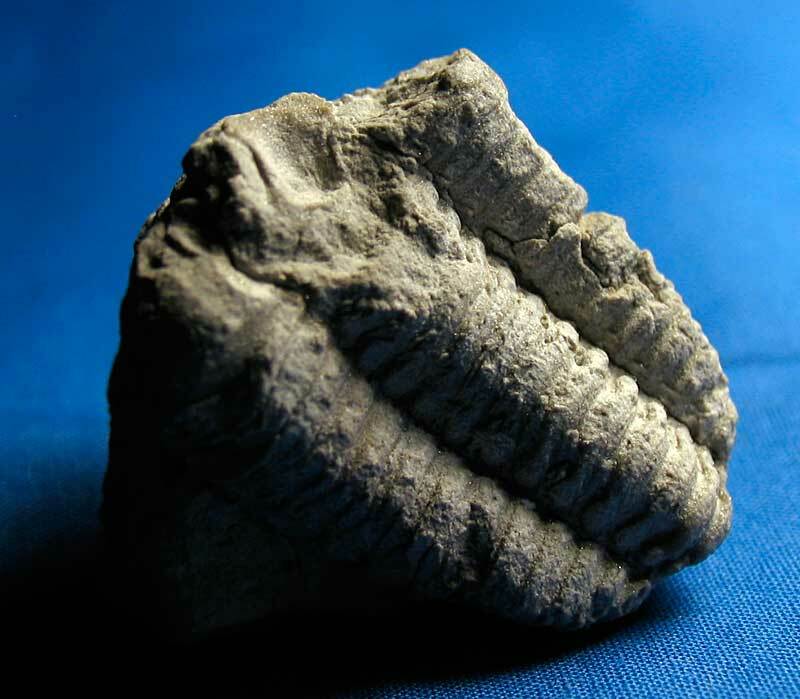 The creature existed in the Silurian Period and in the order Phacopida. 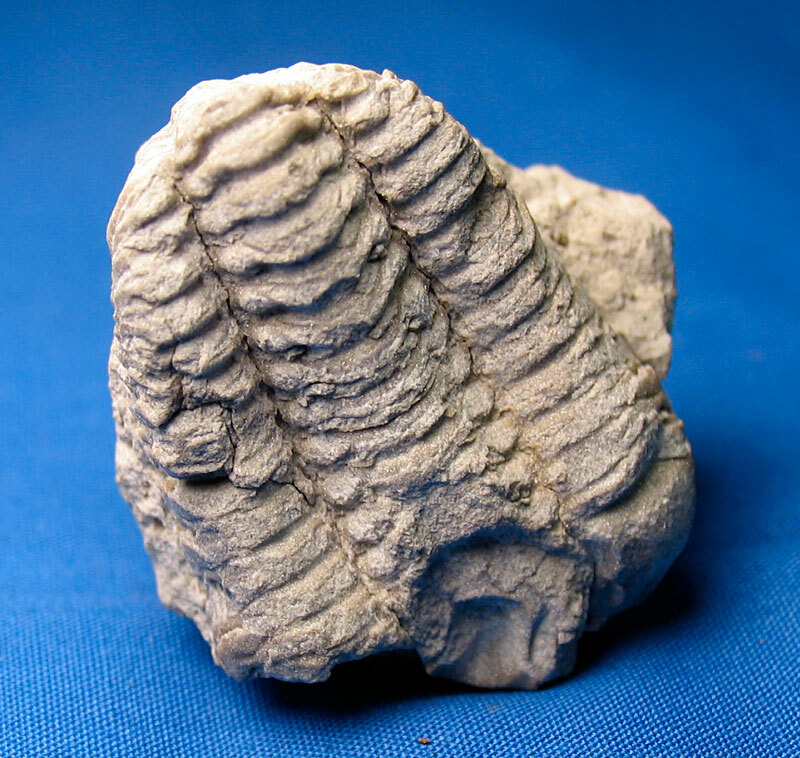 This fossil is almost intact with the exception of its cephalon. One cheek is almost complete and the pygidium is bent over which can be seen in another picture shown below. See the Kentucky Paleontological Society web site for more info. They are not kidding when it is like working on a chain gang to extract these fossils. Dolomite is one hard substance! As always, wear safety glasses when hammering! 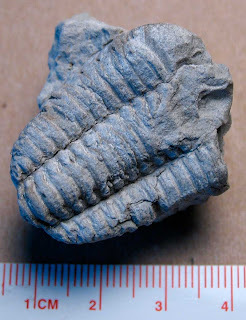 The Calymene trilobite is a beautiful trilobite (according to Wikipedia the word means "beautiful crescent"). 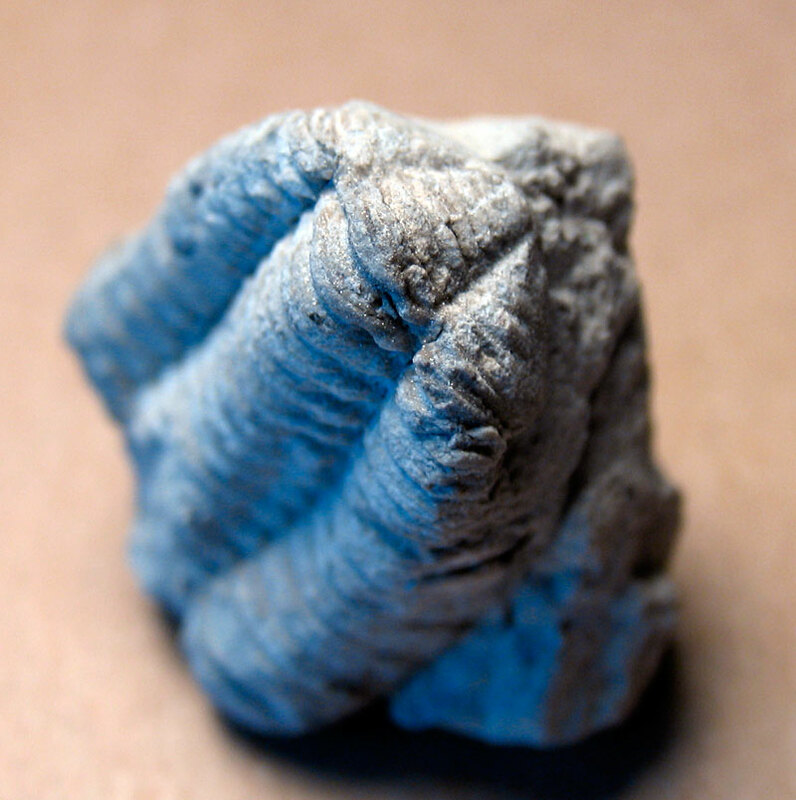 This site has an image of a Waldron Shale Calymene breviceps reported as "this may be the nicest Calymene ever found." 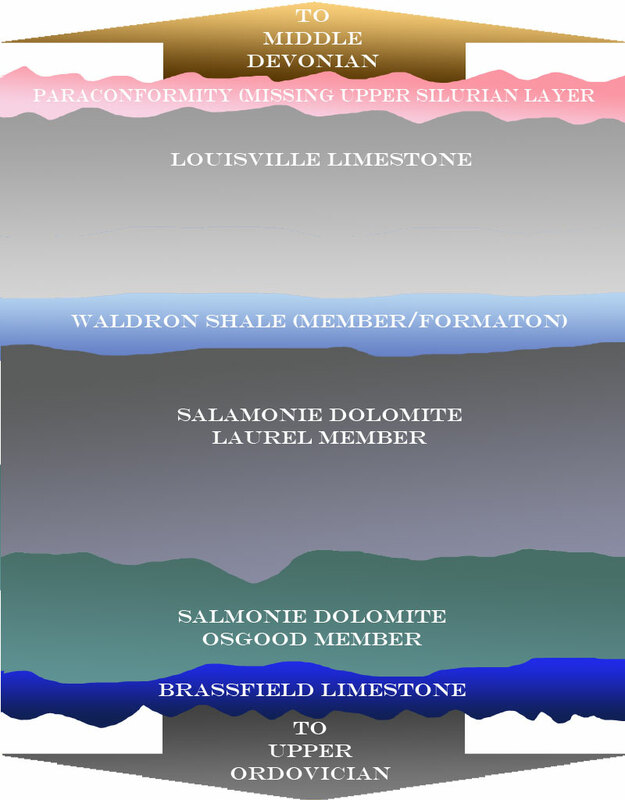 Volunteer naturalist Paul Olliges is on the video explaining the fossils beds of the Falls of the Ohio State Park on morning news program. At they end though they are chased by a trilobite. Whew! I hope they survived that attack. Of course, if the Syfy Channel sees this video, there could be a B-movie in the near future. It can join the ranks of classics such as Anonymous Rex, Dinocroc vs. Supergator. Dinoshark, Kraken: Tentacles of the Deep, Mega Snake, and Sea Beast.